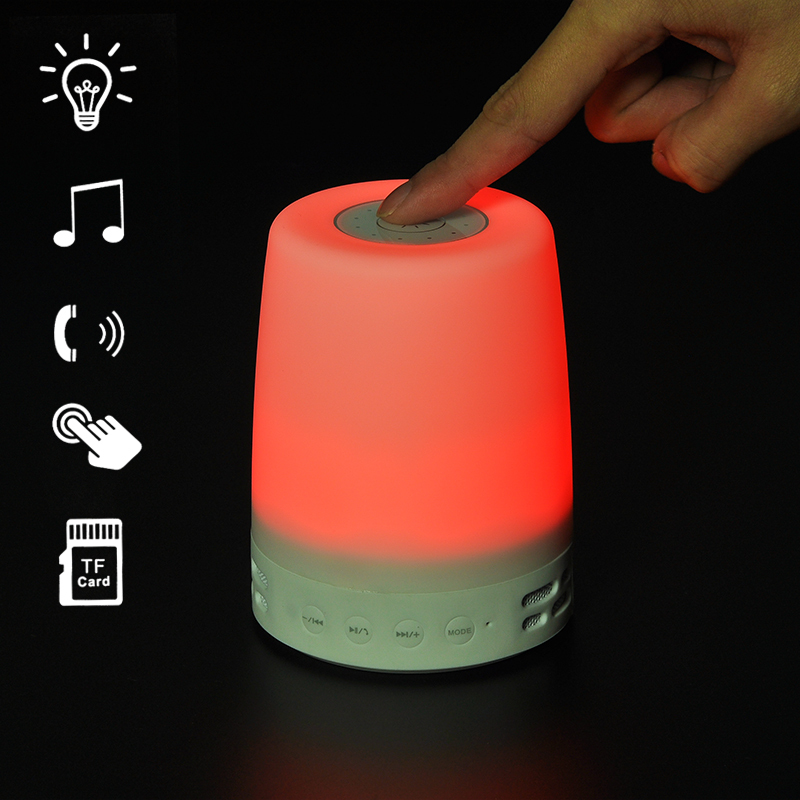 Successfully Added Bluetooth Lamp + Speaker - 7 Watt Speaker, Mood Lamp, Touch Button Contol, Hands Free, SD Card Slot to your Shopping Cart. With its full range of colors and a 7 Watt speaker this atmospheric lamp and Bluetooth speaker lets you set the mood in any room. The speaker projects sound in 360 degrees so it fills the room with sound letting you create an escape from the hectic world. A touch control wheel lets you adjust the color so you can add a romantic touch or warm glow to a room. 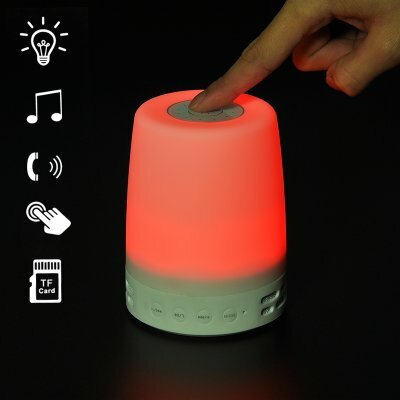 Great for any room in the house this lamp and speaker can will set the perfect mood for a romantic night in, add some color and music to liven up your parties or lull your kids to sleep as a fantastic night light that can play audio books to your young ones. It is easy to play music through this speaker as it makes use of Bluetooth technology so you can wirelessly connect your Smartphone or tablet and access your full music library, alternatively use the 3.5mm audio input or micro SD card to hour hours of tunes to enjoy. Supporting hands free call answering theis lamp and speaker combo will evel let you answer calls without the need to get your phone out. It has a built in 1600mAh battery to bring you up to 3 hours of usage from each charge. This Bluetooth speaker and lamp comes with a 12 months warranty, brought to you by the leader in electronic devices as well as wholesale Bluetooth speakers..